Google has a program for their employees called 20% time that allows them to work on a side project one day a week. It's how Carol Smith came to manage their Google Summer of Code (GSoC) program over 5 years ago. That, and learning about the job from the program manager at the time, Leslie Hawthorn, who later left Google in 2010, opening up the job for Smith. The program celebrated it's 10 year anniversary last year, so if you haven't heard of it, maybe you live under a rock? As you'll see in this interview, the program's not only continuing on into a new decade, it's thriving. So, what the big deal? In this interview, I ask the current GSoC manager some tough questions to find out. Carol Smith will be speaking at POSSCON 2015 about Google Summer of Code. What problems does the GSoC program help solve? There's a few problems I think Google Summer of Code helps solve. First, many students majoring in computer science in university are getting great theoretical skills in the field, but they aren't getting hands-on, real-world coding experience. The program gives them that. Second, it's a really important component of the way free and open source software works that it continues to get new contributors, and GSoC helps bring in new developers to these communities every year it runs. Finally, I think many new software developers find themselves wanting mentorship when they enter this field, and it's a really difficult problem to get a mentor who can help you. Mentorship is "baked in" to GSoC, and so it really sets the student up for success in the programs and long-term professional relationships beyond the summer. What is different about Google's approach to this problem? Well, I've heard from many people over the years that paying developers to work on free and open source software is strange, because most people would do it for free. But we think it's important to pay the students in order to give them the ability to focus on the projects for the program without having to take another job to pay their living expenses. Google also works very hard to choose a great breadth of mentoring organizations from a wide variety of fields and topic areas. This gives the students the most options to see what will interest them and keep them engaged with the organization even after the program is over. What's so great about the program anyway? The same things that I think are really wonderful about Google Summer of Code now are the things that attracted me then: getting new developers into free and open source software development, giving students who might not otherwise be interested in software development a really enjoyable, real-world experience contributing to an organization, and also providing students a university experience that's directly applicable to their studies in school as well as to their jobs after they graduate. Google Summer of Code has been a wonderful experience for me professionally. I've advanced my public speaking skills significantly since I've been on the team and have been promoting the program publicly. I've learned how to manage a diverse international community the spans the free and open source software world. I've improved my event planning skills as well with the multi-day events we run for Google Summer of Code as well. But really, this program is about the student and the organizations, not me. I think the things people find really surprising about the program when they first hear about it are the things that really make it stand out: it's done entirely online, and it's international. Many people hear about this program and assume it must just be a US-based program or it must be something the students have to "go to an office" to participate in. The scope of the program to involve students all over the world is really wonderful, and means that we're getting a the most diverse group of people involved in this program and in free and open source software possible. What are the program's greatest weaknesses? I think the program's greatest weakness is that it can't be all things for all people. We hear every year that this program doesn't fit well into the school schedule for some European schools as well as some schools in the Southern Hemisphere. We're also never able to accept all the worthy organizations we'd like to to mentor the students, we just don't have the capacity to manage them all. I wish we had infinite time and resources to be able to run GSoC's that fit into every student's schedule and allowed every free or open source organization that applied to participate. I think the program's greatest strength is its adaptability for the organizations and for the students. The organizations have a lot of room to makethe program fit the way their community works, and I think that makes it really great for them to get the most out of it they can. It's also adaptable for the student's lives and work habits: they can do it from anywhere with an internet connection and at any time of day. That makes it easy for the students to get the most out of it as well. What is a GSoC student success story that sticks out in your mind? I think all the students who get into free and open source software development through Google Summer of Code each year who wouldn't have otherwise done it are all success stories. Having said that, I think Angela Byron is one of the great GSoC success stories: she participated in 2005 and has gone on to do a multitude of amazing things in free and open source software. 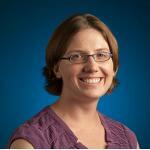 I think she's really a great example of a person who took the experience of GSoC and "ran with it." And a company success story? I think OpenMRS is a great success story for Google Summer of Code. The program really took them from being a fledging organization to being really firmly established with their contributors as well as their mentorship model for their own software development and use. Things that people are passionate about help make them who they are. That individualism is important in the workplace too, where it helps us make great strides on a project and excel within our teams. What are those things you are passionate about outside of work? I wanted to be a photojournalist from the time I was a small kid. I grew up with National Geographic's all over my house and always wanted to work there. I went to a journalism magnet high school and then majored in Journalism when I was in university. I keep that dream alive in my personal life now, but mostly in terms of continuing to take pictures and document my travels. Because of my exposure to media of all types while I was growing up, I've always had a love of books, TV, radio, magazines, and movies. A bibliophile is someone who collects books, and I do a lot of that. I watch a lot of movies and read a lot. I've also always been an active, fit person, and I have done many century bike rides and triathlons over the years. I find cycling a really enjoyable, social pastime. I've recently gotten into horseback riding too! I'm loving the experience of learning to ride an animal and be out in the fresh air with them. What's on the roadmap for the next decade of GSoC? We did a lot of different things for the 10th anniversary last year: our team went to a lot of different universities and countries where we've seen high participation in the program, and we had a 10 year "reunion" in California where we brought together participants from all years of the program to meet each other and collaborate in person. We're hoping to continue inspiring new developers for the next 10 years, and most importantly, to continue to get diversity into this area.